Nothing has changed in the messaging department and honestly there is no need for that, as it is organized almost perfectly. Besides standard text messages, Nokia 5220 is capable of receiving and sending EMS, MMS, and email. The SMS and MMS use one and the same editor and all you need to do in order to turn a regular SMS into an MMS is insert a picture or any other multimedia content. A photo, a contact card, or an event from the calendar can be sent via MMS. Thanks to the latest MMS 1.3 standard (as opposed to MMS 1.2 in Nokia 5310), size limit for both send and receive is now 600KB instead of 300KB. The email client is doing its job pretty well meeting most user needs in this aspect. It works with POP3, SMTP, and IMAP4 protocols and supports multiple email boxes. Even Push email is among the supported standards. Email setup is now as easy as pie - just enter your email address, and if you use one of the popular public email services (Gmail in our case, but the list contains about 1000 email providers), the handset will automatically fetch the settings for you. When a message is to be sent, it finds the email address of the corresponding recipient in the phonebook. Sent attachments are not limited in size. Both message headers only and entire messages can be downloaded, depending on your choice. No significant changes in the gallery were made with Nokia 5220. That's a pity, as we aren't really in love with the looks of the S40 gallery. Probably a part of the problem is that it is used as a file manager too. The Nokia 5220 XpressMusic has 30MB of built-in memory expandable via microSD memory cards. The 5220 officially supports cards of up to 2GB of storage, but as we managed to personally confirm, our retail unit didn't have any problems handling an 8GB card. The S40 Gallery has three different views: list with details, list and grid. Once you pick a picture you can zoom on it to see more detail. Zooming itself is not the fastest around (especially for larger images) and doesn't allow a picture to be zoomed in too closely, so actually it is not much of a help. The pictures can also be viewed fullscreen and can be edited with the built-in picture editor. The latter offers a decent amount of options, but you will hardly end up editing your photos on your Nokia 5220. The final extras of the gallery include the available Slideshow and Search options. The latter is quite convenient for finding a specific file in overfed folders but we still believe that the gallery on S40 is not Nokia at their best. That goes true especially in user friendliness and we do hope that sometime in the future the file manager and the gallery will be separate applications. Without doubt, the music player is among the most important applications in Nokia 5220. No wonder Nokia have put some effort to its development. Not that they have made any great improvements to the functionality but the new looks are really nice and go well with the overall design of the handset. The dedicated music keys are also a boost. They are used for controlling both the music player and the FM radio, their functionality at a given time depending on the last used application. As we already said, the keys backlighting blinks to the rhythm of music if you enable the music light effects option. Besides managing all the typical functions, the music player also sorts songs by artist, album and genre. The player is customizable through a number of skins. Naturally, the A2DP profile is supported, allowing listening on stereo Bluetooth earphones. If you don't like the headset that comes in the retail package, you can easily change it for another thanks to the standard 3.5mm audio jack. But moving back to the player, we have to say that it offers a large number of configurable options. 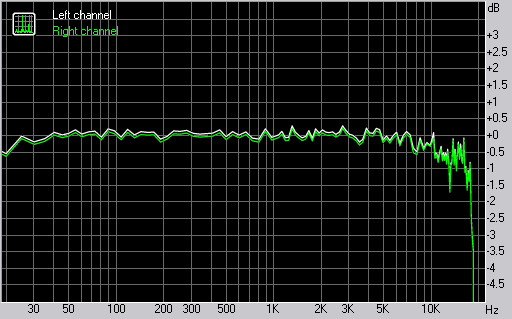 The sonic experience can be enhanced by an equalizer and a stereo expansion function. There are 7 preset equalizers on Nokia 5220 but you can easily modify two of them to suit your taste. If you get bored with the music you have on your Nokia 5220 you can try the FM radio. It shares the audio player interface and can be skinned using the same themes as the music player. RDS is supported too. Unlike the Nokia 5310, the FM radio in the 5220 doesn't feature the Visual Radio that enhances the radio experience by adding graphics and visuals to the audio content broadcast by Visual Radio compatible stations. The video player of Nokia 5220 is compatible with 3GP and MPEG4 formats. Videos can be played in fullscreen mode, as well as fast-forwarded or rewound. The possibility to remove the soft key captions to make better use of the full screen view mode also improves the viewing experience. Still the 2" screen seems inadequate for truly enjoyable video. As a music-centric handset, Nokia 5220 XpressMusic is supposed to excel in terms of audio quality. As it turns out it is quite up to the task. It's perfectly on par with its sibling - the Nokia 5310. They both have excellent noise levels, dynamic range and fare quite well when it comes to frequency response. On the other hand the Nokia 5220 has rather high IMD and THD levels even at the maximum volume level - and their values will increase even further as you lower volume levels. Still these are not all too disturbing, so in terms of audio quality, Nokia 5220 XpressMusic is good enough. You can find more info about the test itself here.